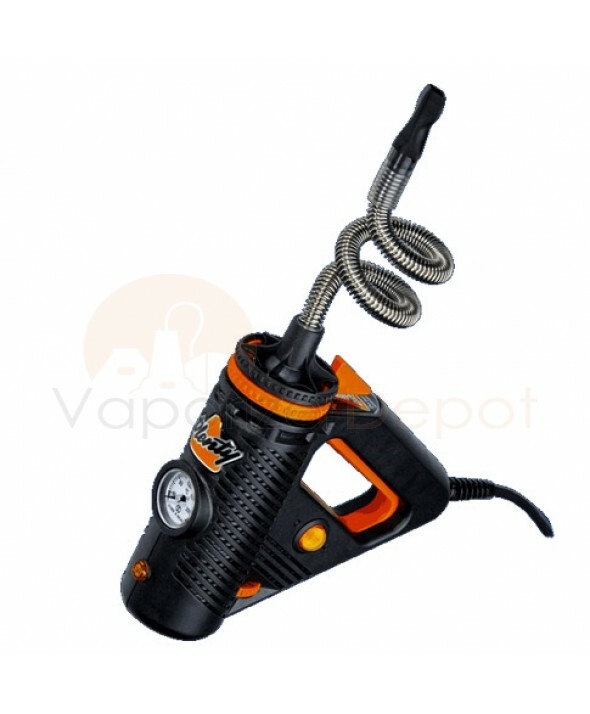 Storz & Bickel, the German masterminds behind the Volcano Vaporizer, have created the PLENTY Vaporizer - a handheld device that delivers amazing results at a great price. The PLENTY was designed with aesthetics and performance in mind and we are excited to offer it here on our store. 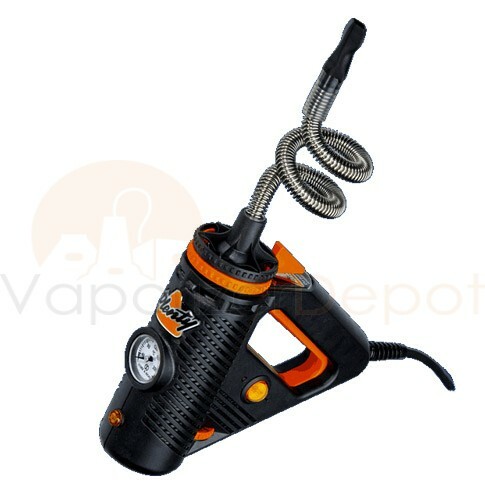 This is a handheld vaporizer, but since it requires AC power, it's not technically a "portable vaporizer." The PLENTY employs a stainless steel cooling coil that has a hard plastic drawstem on the end for inhalation, so the proper term is "direct draw" vape. The coil is its defining feature; this instantly memorable vapor path can be twisted or adjusted to the user's preference. The vaporizing temperatures range from 266 to 395 degrees Fahrenheit and the level is easily visible on the PLENTY's analog thermometer. Users can adjust the temperature with a simple click of the orange dial on the unit's base. The precise German engineering ensures completely safe operation and will never overheat. There's an emergency auto-shut-off function built into every PLENTY. The product chamber is easy to load, and it doesn't take long to heat up the contents. What's more, Storz & Bickel stand behind their product with a 3 Year Manufacturer's Warranty. While it looks like something that may be kept in a toolbox, the PLENTY should be on hand for any home vaping session, as it delivers Volcano-level results for half the price.